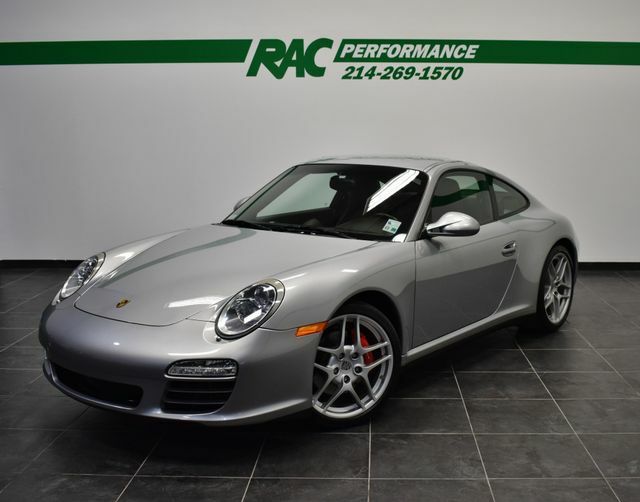 CLEAN CARFAX, 6-SPEED MANUAL TRANSMISSION, SPORT CHRONO PACKAGE PLUS, LIMITED SLIP REAR DIFFERENTIAL LOCK, PARK ASSIST SYSTEM, NAVIGATION MODULE FOR PCM, BLUETOOTH INTERFACE FOR MOBILE PHONE, UNIVERSAL AUDIO INTERFACE, XM RADIO, BOSE HIGH END SOUND PACKAGE, HEATED SEATS, 19″ CARRERA S II WHEEL, PORSCHE CREST IN HEADRESTS, SELF DIMMING MIRRORS, 3-SPOKE MULTIFUNCTION STEERING WHEEL IN SMOOTH LEATHER, WHEEL CAPS WITH COLORED CREST, FLOOR MATS IN INTERIOR COLOR, SPECIAL LEATHER COCOA, GT SILVER METALLIC!!! This car has been inspected by our certified technicians and is ready to drive home. Upgrades are available at RAC Performance. TUNES, EXHAUST, WHEELS, TIRES and MORE!